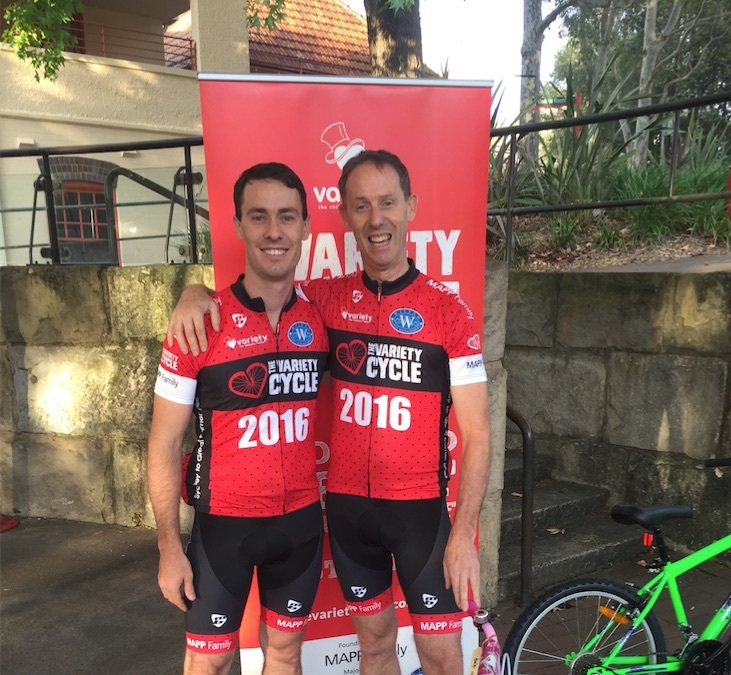 Vitalcare Directors Duncan and Logan have just finished two days of cycling between Sydney and Maitland on the Variety Cycle Charity event raising money for children who are sick, disadvantaged or have special needs to live, laugh & learn. Variety is all about providing the support to children and their families to overcome whatever obstacles they face. While Duncan and Logan only joined for two days covering 223kms, the rest of the team continue on heading North with the final destination being Yeppoon on the coast near Rockhampton. If you would like to donate or find an event that you can help kids in need please visit www.variety.org.au and see how you can get involved today.